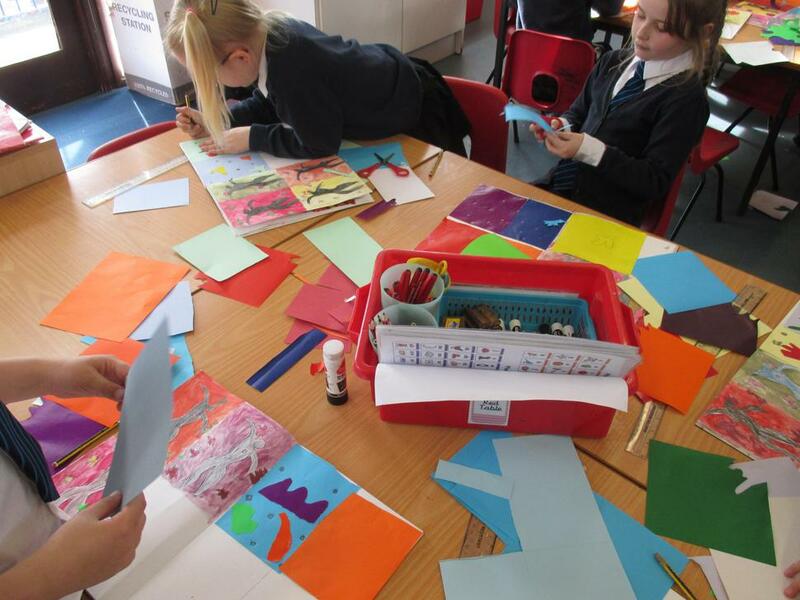 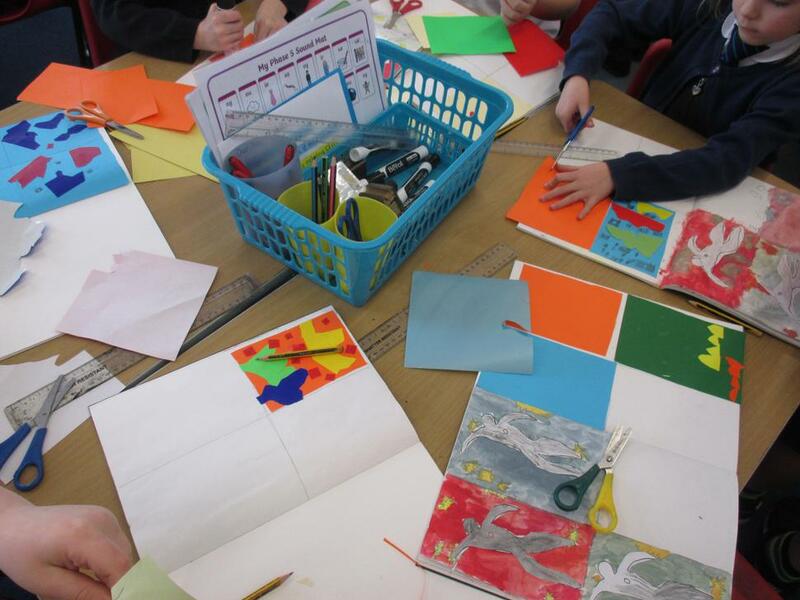 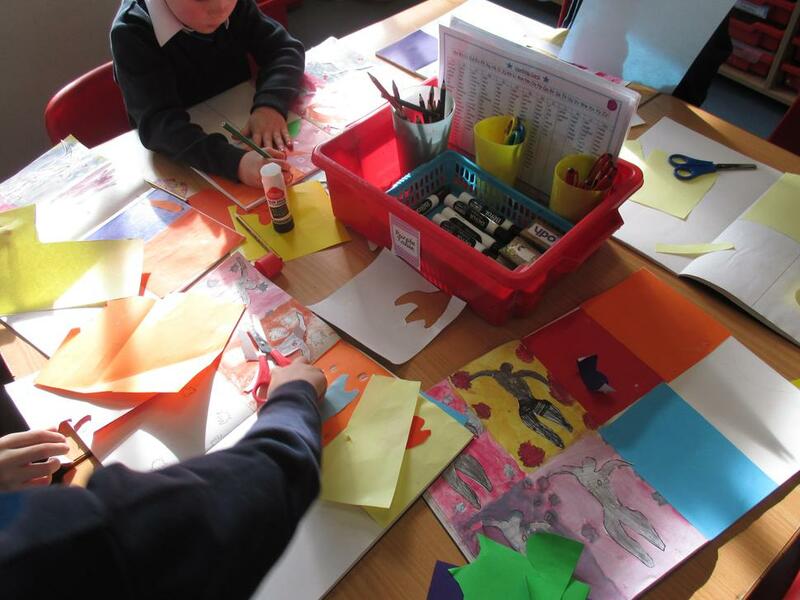 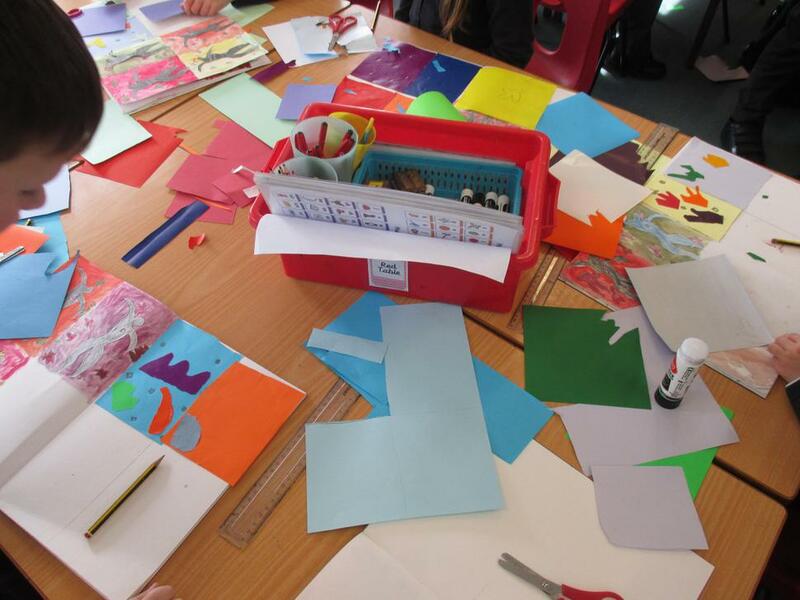 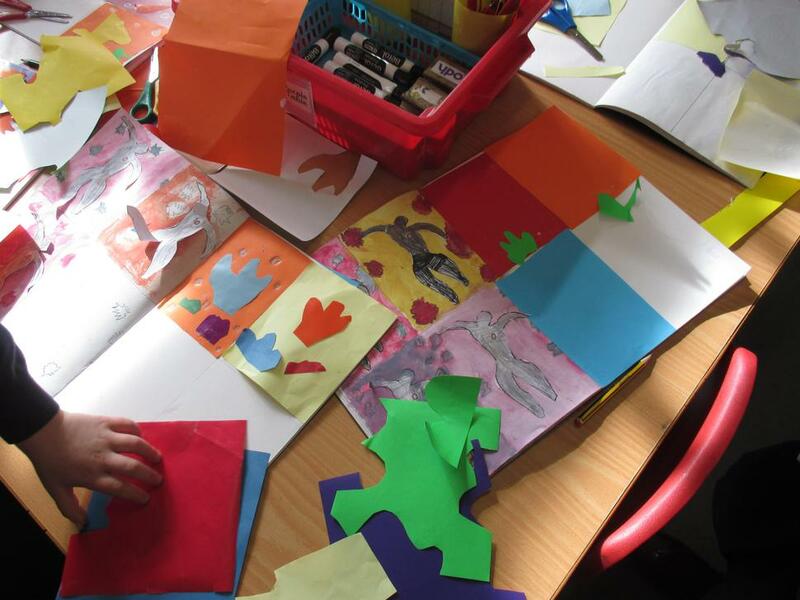 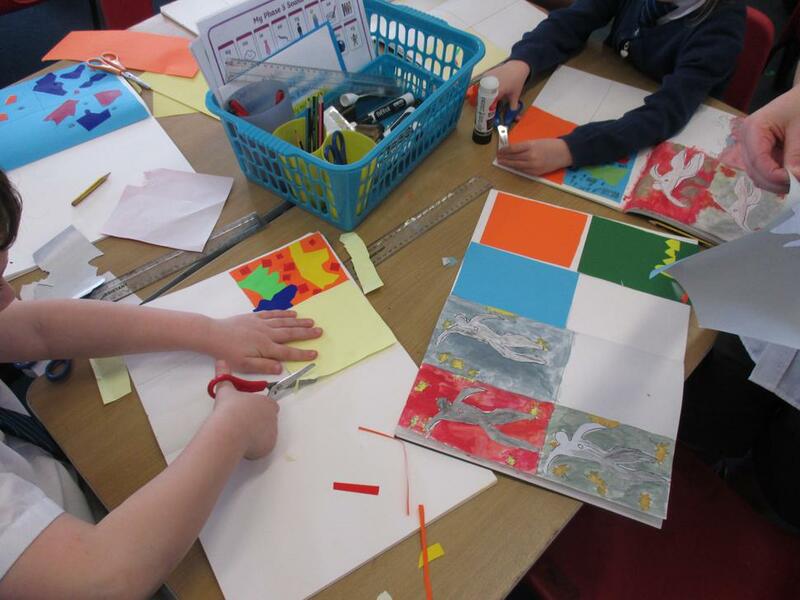 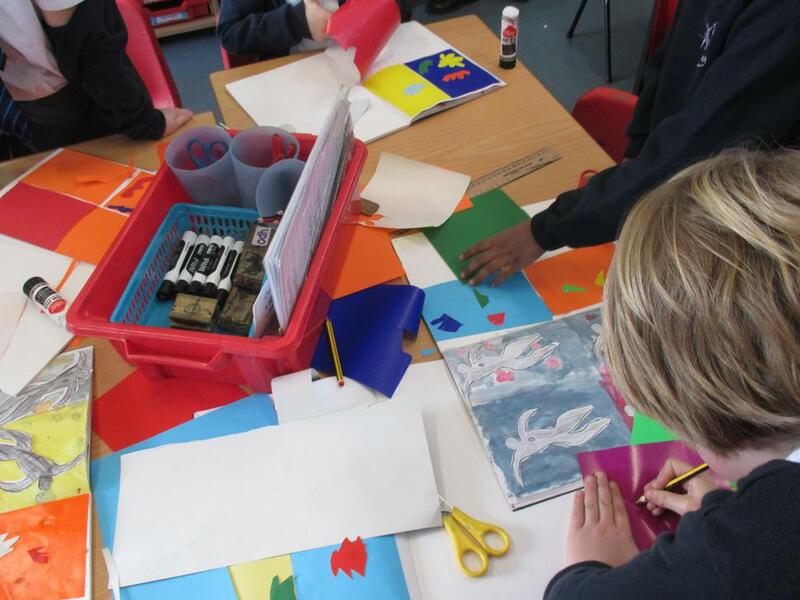 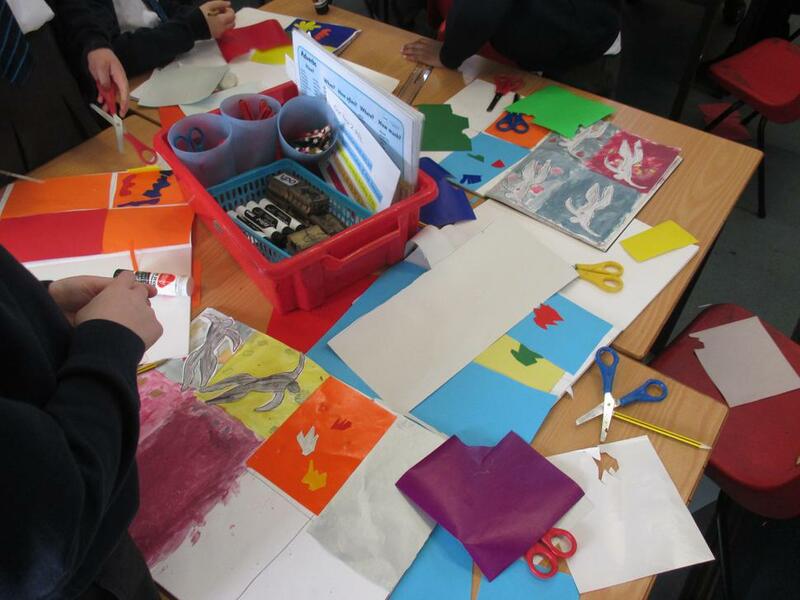 Today (06.03.18) we used our understanding of colour theory that we practised last week by recreating Matisse's Elements Vegetaux. 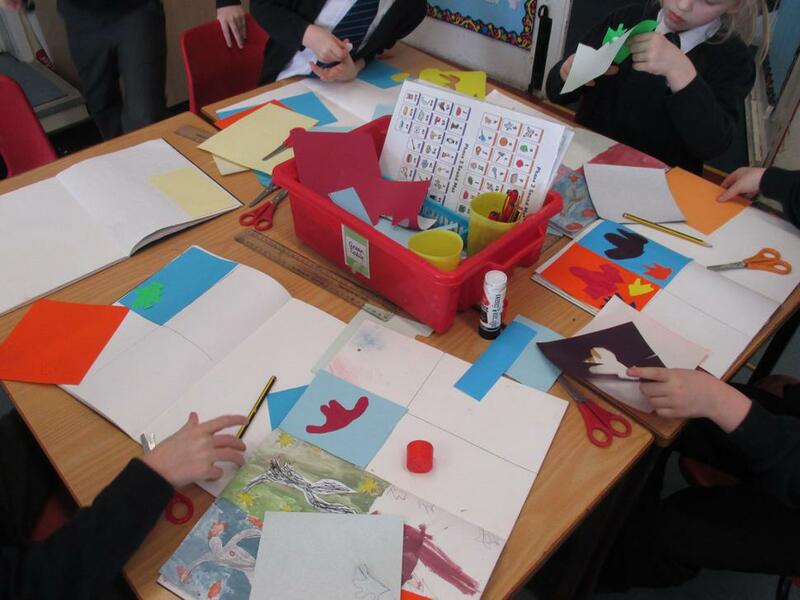 We looked at the work that he created using paper of different colours and the theory behind the colours that he used, and realised that he used one colour as his background with a complimentary (opposite on the colour wheel) and analogous (next to each other on the colour wheel) colour, and the colour in between those two. 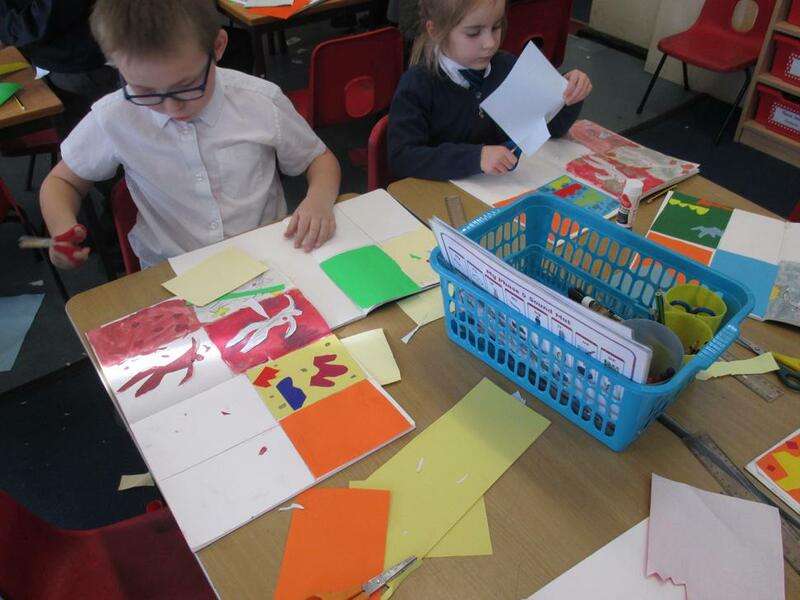 We then had a go at re-creating Elements Vegetaux using our own colours, but sticking to the same colour theory. 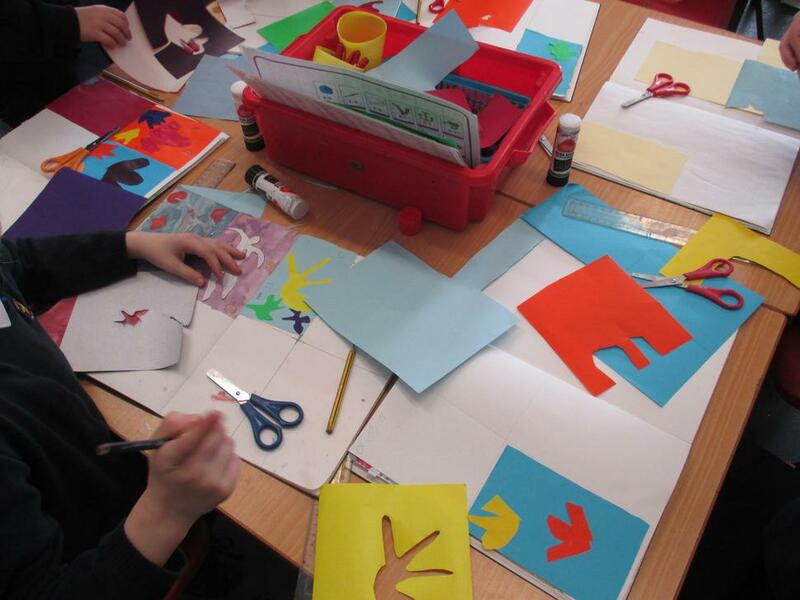 Have a look at our gorgeous work!